Hortipak is the UK’s leading plant label producer supplying Growers and retailers across the UK and Ireland. Our experienced team design and print labels, POS, signage and packaging utilising the exclusive Nova Image Library. Visit our team in the Hortipak Lounge and find out how we are ‘Connecting People with Plants’ - helping both growers and retailers to increase return business. You will find innovative ways to package and promote plants, some targeting important retail events in the gardening calendar such as Christmas and Mother’s Day, as well as having the opportunity to discuss your individual branding, marketing and product requirements directly with our designers and sales team. 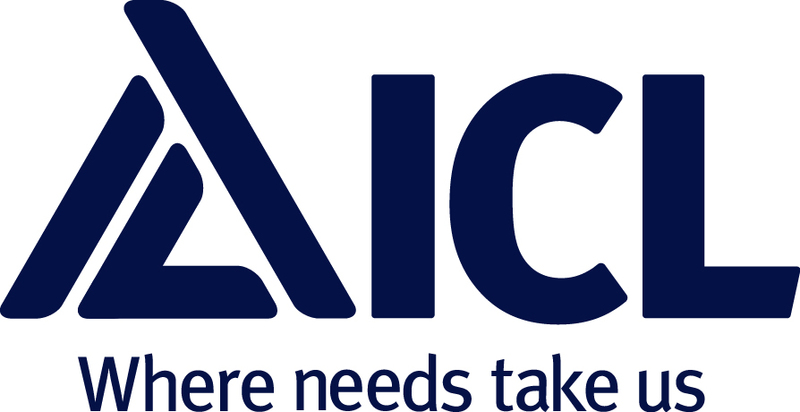 Everris, Fuentes, Nu3, Novapeak and F&C have united to form one company: ICL. A global manufacturer of products based on speciality minerals ICL fulfils the essential needs within Professional Horticulture (with brands including Osmocote, Peters and Universol). The company leverages innovativeness and scientific excellence to offer groundbreaking speciality fertilizer solutions for plants and crops to grow stronger and healthier. The Royal Horticultural Society (RHS) is dedicated to sharing the best in gardening! Find out about the Award of Garden Merit list which highlights plants the RHS knows to perform well. The RHS is keen to work with the trade to promote good plants and give gardeners and non-gardeners more confidence to buy and succeed. The RHS Perfect for Pollinator initiative continues to be successful with both the gardener and the trade and is receiving government attention with its inclusion in the National Pollinator Strategy. Ask the team about the updated Garden Plants list designed to help the trade. The RHS Chelsea Plant of the Year competition, held during RHS Chelsea Flower Show, is designed to promote new plants and recognise good breeding. The RHS is keen to continue to increase entries in the future. Dura-ID will be demonstrating the latest technology for labelling in horticulture. The extensive labelling range comes in a variety of thicknesses to suit all applications and budgets, from the standard stick-ins to full colour picture labels that you can print in house, as and when you need them! Dura-ID also supply a wide variety of printers and are recommended by a number of manufacturers because of the excellent technical support available by the in-house team. This printer range includes full colour desktop printers such as the OKI range and the Epson range. A large variety of simple mono thermal transfer printers are also available to purchase from Dura-ID, from CAB to TSC and TEC. Come and speak to our experts today to discover what the best solution for your business. HTA Insurance Services is the preferred scheme of many of the UK’s major garden centres and growers and has been designing bespoke solutions to cover businesses operating in the horticulture market for over 20 years. HTA Insurance Services is an active member of the ‘Crop’ campaign. Its dedicated team looks after clients nationwide and is happy to visit your nursery or garden centre to help assess your insurance needs. It prides itself in providing a personal, friendly and efficient service to all clients. Contact the team and experience the difference. Floramedia works to help you sell more plants. We deliver practical marketing solutions that will work for your customers, combining our extensive knowledge of the gardening industry with creativity, technology and content. With a narrow focus, agile processes and creative thinking we can be relied upon to deliver brand concepts, plant labels, packaging and retail PoS. In 2017 we have continued to innovate, expanding our range of merchandising products for garden retailers and introducing the Flora Eco range of alternative materials. Please visit our stand to explore how much more we can do to help you succeed. Container Centralen developed the CC Container – a shared, standard Reusable Transport Item (RTI) – and has been managing the CC Container Pool for 40 years. The CC Container is widely accepted and used throughout the horticultural supply chain as a result of its versatility, availability and standardisation. Together we share over 3.5 million CC Containers that transport your products across Europe. We will be celebrating this and introducing our new logo at the National Plant Show 2017. Businesses that have a competitive edge are those that flourish. Visit Glee to gain insight, inspiration and knowledge that will help differentiate your business from your competition. It’s the place to connect with the entire garden and outdoor living retail community. Refresh your store by sourcing new products and bestsellers from a diverse range of categories including plants, garden care, Landscaping and Garden Decoration. Meet over 500 exhibitors, over 50 of which are growers and find hundreds of plant related sundries. Join top industry speakers and experts discussing topics that are important to your business and pick up ideas that will help you continue to achieve sustainable growth. Print your own Bed Cards, with your branding, from the ‘Joy of Plants’ web-based tool choose from standard templates, or we’ll create bespoke ones for you. Or use our Plant Finder & plant care plug-in for websites & in-store Information Points, quick & easy to install, automatically updated with new plants throughout the year. Or add Plant Images & Texts to e-commerce & websites quickly add images and texts to your site, reduce your development time. Plus Apps for mobiles make your staff plant experts. Joy of Plants services use the UK’s leading plant information. Garden Connect was founded in 2002 and has been working with independent garden centres and marketing groups since then. Currently over 200 garden centres are using our services in 4 countries. The team of Garden Connect has 22 professionals: designers, developers and marketeers, which are all in-house in our offices in Luton and Amsterdam (Netherlands). Working with over 200 garden retailers we understand that it can be difficult to keep your website up to date. This is why we don’t just provide you with a website, but we provide the full package which includes regular content and support. Our innovative marketing services are both effective and affordable with the key focus of bringing in more footfall to your garden centre via the internet. Our services include:, Websites, Webshops (integrated with any epos), Apps & mobile services, E-mail marketing, Personal Marketing, Do you want to learn more? Have a look at our website www.gardenconnect.com or call us for a meeting at your garden centre on 0203 475 5541. As growing media specialists we are at the forefront of innovation and performance. Our comprehensive range has everything you need to grow, whether you are looking for peat based, peat reduced or peat free growing media. We also produce specialist mixes to your exact specifications, incorporating additives, agrochemicals and fertilisers. All growing media can be supplied in bags, big bales, IBCs or loose bulk. Our product range includes perlite, vermiculite and hydroleca. We also offer a superb choice of fertilisers such as Sincrocell controlled release fertiliser, Sangral Clarity water soluble fertilisers and Sincron + top dressing. Working with universities, colleges and growers XL Horticulture have been at the forefront of developing “SMART” tunnel covers, modifying the spectral transmission for improved plant growth, long before LED’s were available to do the same thing. Now they have turned their attention to beneficial biology to stimulate plant growth and suppress plant diseases. 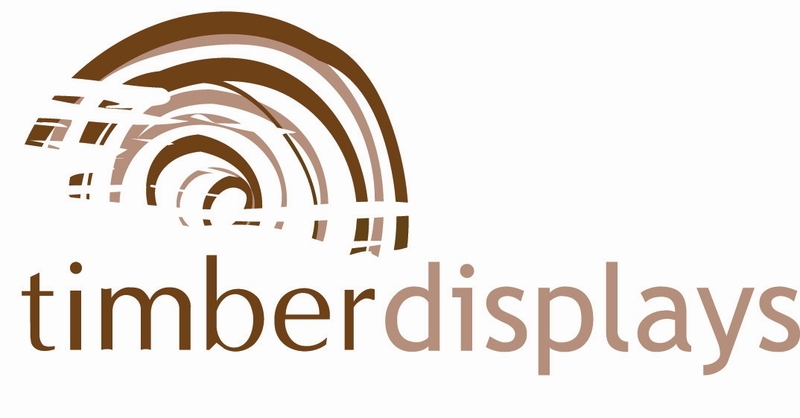 Timber Displays provides treated timber display products to the garden centre and nursery industries. Its products are made to a high specification and are designed to increase your turnover by showing your merchandise to its full potential. Timber Displays offers a vast range of standard items plus a bespoke service. Timber Displays can supply you with some value for money plant benches by way of their great pallet deals - ideal for providing sales space in those empty seasonal areas - Come and see what’s on offer! Horticulture Week is the leading information service for the UK’s most senior horticulture professionals providing a comprehensive package of news and analysis, expert advice, and technical and market intelligence, covering all areas of the industry. Through its daily news bulletins, fortnightly magazine, and comprehensive website serving professionals in production, garden retail, landscape creation and amenity management, Horticulture Week reaches more than 10 times the audience of any other title in the industry. Visit our stand for special offers on subscriptions and advertising options.